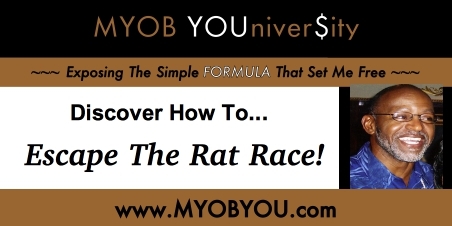 MYOB: Financial emPOWERmeNt YOUniver$ity Transform Your Life In Three (3) Simple Steps!!! | How To Become Financially Free Is Not a Secret, It's a FORMULA That Anyone Can CHOOSE To LEARN and FOLLOW. MYOB: Financial emPOWERmeNt YOUniver$ity Transform Your Life In Three (3) Simple Steps!!! How To Become Financially Free Is Not a Secret, It's a FORMULA That Anyone Can CHOOSE To LEARN and FOLLOW. A 3-Step “Financial Freedom Strategy”!